knitting | Beckie and Jeremy Take on the World! 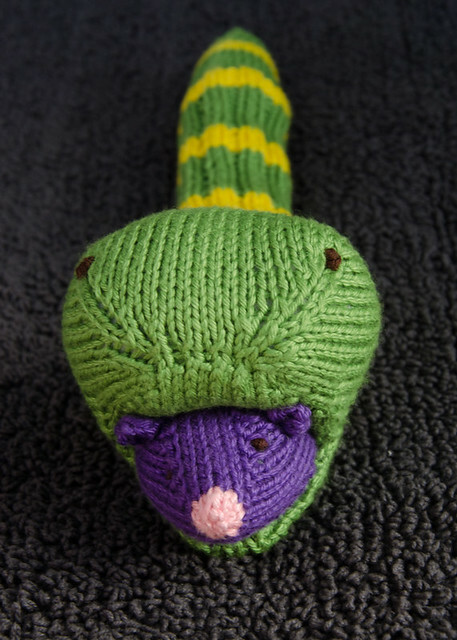 I’ve had the pattern for this cute snake eating an even cuter mouse in my ravelry queue for over 5 years (it was the 13th thing I ever queued!). Finally, when a good friend’s baby was born in the year of the snake, I thought it was time to actually make it. My snake isn’t sleepy, and neither animal is wearing a toupee, but I think they look happier that way.